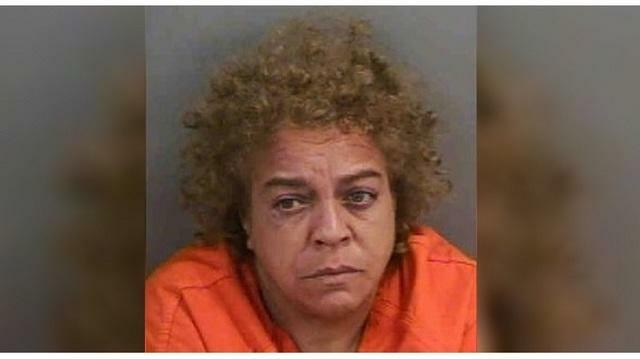 After attempting to hold up a postal truck with a plastic gun and escape on a tricycle, a woman in Florida has been arrested. A Florida woman held up a U.S. Postal Service truck using a plastic gun, stole a single package and fled on a tricycle. Leida Crisostomo, 52, of Naples, was arrested by patrol units at 4 p.m. Saturday, a report states. When arrested, Crisostomo told police that she was god. Earlier in the day, Crisostomo allegedly pointed a gun at a jogger and stopped a U.S. Postal Service mail truck, deputies reported. Crisostomo stole one package and escaped via tricycle, the police report says. When police located Crisostomo, she was holding a black and silver handgun. Police arrived at the scene because of a report of a woman pointing a gun at people, the station says. The pistol was later found to be a plastic fake, a police report says. While being cuffed, Crisostomo “yelled that she was God” and that “voices were telling her to do things,” the report states. Crisostomo was charged with felony armed robbery and aggravated assault, police say.